The offspring of Pomacanthus semicirculatus are possible. Unfortunately, the number of offspring is not large enough to cover the demand of the trade. If you are interested in Pomacanthus semicirculatus, please ask your dealer for offspring. If you already own Pomacanthus semicirculatus, try breeding yourself. This will help to improve the availability of offspring in the trade and to conserve natural stocks. 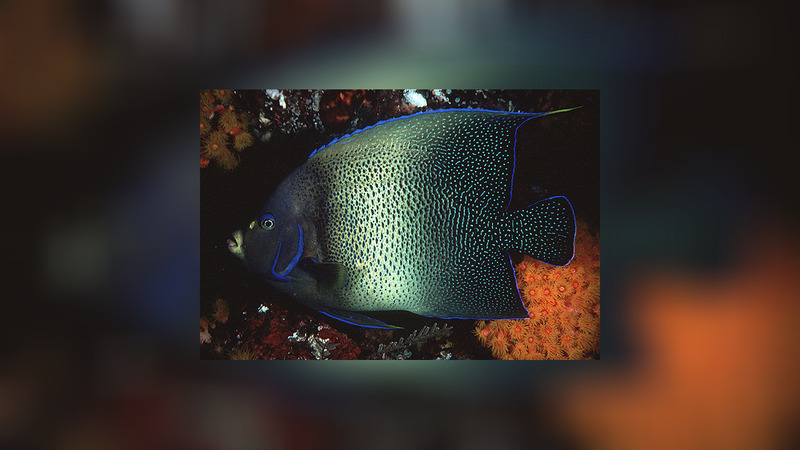 Pomacanthus semicirculatus also known as the Semicircle angelfish, Koran Angelfish, Halfcircled Angelfish and the Blue Koran Angelfish, is an excellent and popular choice because it is extremely hardy and also colorful. 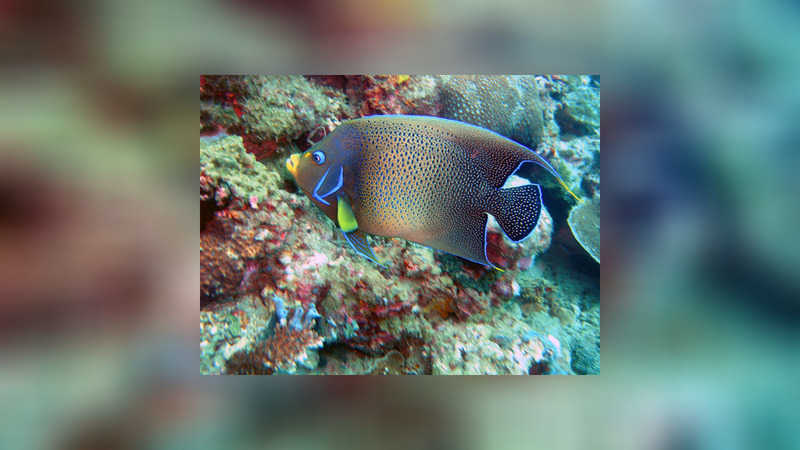 Pomacanthus semicirculatus originates in the Indian and Western Pacific Oceans from the Red Sea to Fiji. 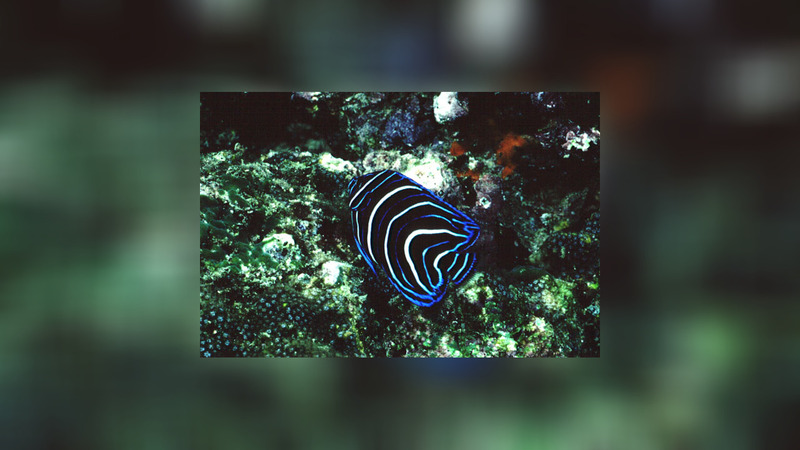 It can be found in coral reefs to depths of 25 m.
Juveniles from 3 - 8 cm in size have semicircular bands of alternating white, blue and black, which give rise to the name the Semicircle Angel. 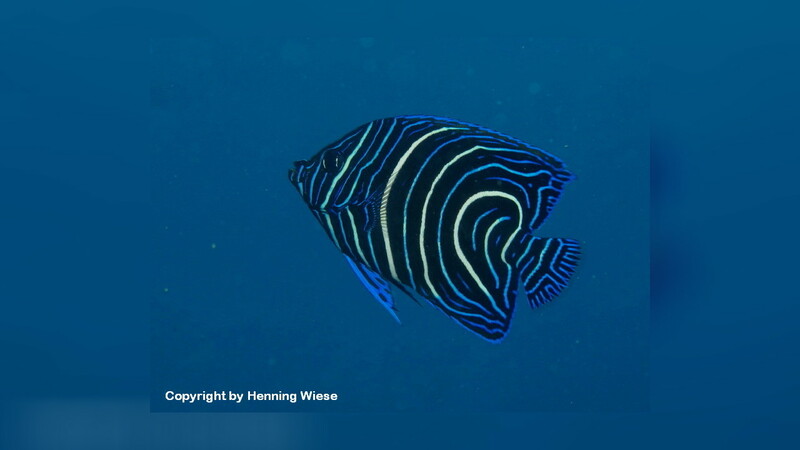 The pattern is easily confused with the juvenile Emperor Angel, however the latter has tighter bands that appear to emanate from the base of its tail. 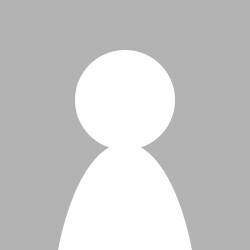 The circles on the Koran Angel are more elongated and less complete too. As they begin to mature, the semi-circles fade and blur. During this period, dark blue banding near the tail turns to a pattern resembling Arabic script, which gives rise to the name Koran Angel. At around 12 cm in size, they develop the adult pale green/gold background coloring with flecks of blue and black. There are two vertical bright blue stripes near the gills in adults and the outline of the body shape becomes ringed in blue. Adults can grow to more than 40 cm in size. In the wild, the Koran Angefish feeds mainly on sponges, algae, plankton, coral polyps, shrimp and shellfish. 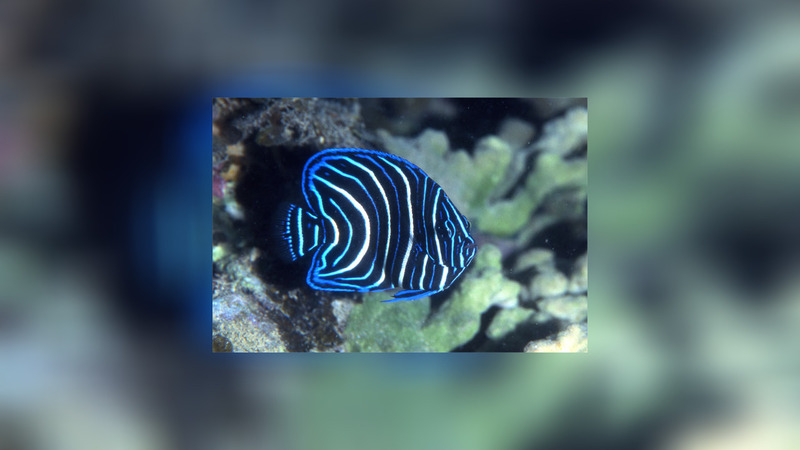 Adult Koran Angefish develop a dependence on sponges, due to their interest in eating crustaceans, clams and soft corals, they are not a good choice for a reef tank. Koran Angels are very territorial, so only one of the species and preferably on one Koran Angel should be kept in an aquarium. Unfortunately, they are quite sensitive to poor water quality and develop infectious diseases and parasites easily.